We had several remarks about 123HelpMe. First of all, there’s no clear price list at the website, and there’s no option to get a refund if something goes wrong. There are no loyalty discounts. The lack of live chat is another serious issue. The only way to contact the support is via email. The biggest problem is that the service charges its customers without their permission. What does this even mean? Is this a writing service, or is it just a database of pre-written essays? It’s not a writing service, that’s for sure. It’s just a website that provides “tools” and samples that are supposed to help you write your essay. Most students just take the samples and present them as their own work. There’s a huge problem with that. If your professor sees the same essay from someone else, you’ll be in trouble. There are no “services” here. Just samples. The database covers few types of products: free essays, good essays, better essays, stronger essays, powerful essays, term papers, and research papers. The free essays are lousy, so don’t even bother with them. Will you find the essay you need? Not likely. You professors want you to focus on very specific topics. Here, the topics are too general. For example, there’s a research paper named A Role for Religion in Public Service. There are plenty of issues with that title, and it’s not just the formulation. It’s so general that it couldn’t possibly be a good research paper. Be very, very careful with this website. It tells you you’ll get unlimited access to millions of essays for 2 days if you pay $2. That seems like enough time to get the essay you need, and you’ll only pay $2 for it, right? Wrong! The service will charge $29.95 per month after those two days and it won’t ask for your permission. As it turns out, you’ll pay an expensive price for a pre-written sample that doesn’t even work. Don’t even think about 123HelpMe.com discount. There are no discounts and loyalty offers here. The biggest problem is that there’s no refund option. The papers we checked were not good enough. They had no references, so we couldn’t use them for relevant research. This website has a good concept, but the papers are just not good. We want to warn you about something else: there’s a “tool” that’s supposed to analyze your own essay for grammar, style, and more. Be careful with it. What if the service takes your paper and features it at the website without your permission? There’s no guarantee they won’t do that. If they start selling your paper, you won’t get any royalties. Email is the only option. It’s not really an option, since they don’t give you precise answers. We tried contacting the support with a complaint that they charged us almost $30 without our permission, and they just said we should’ve cancelled the membership. Fair enough; we really should’ve done that. But they were unwilling to help us cancel the membership, so we had to spend a whole hour at the website searching for that option. Is 123HelpMe.com legit? Well, it’s a legit service that gives you samples. However, it’s not good. If you’re looking for a unique essay that would get you a good grade, this is not the right place for you. College-Paper.org gave its first-time users a generous discount. The price/quality ratio at this website is very good. You get high-quality and an abundance of free perks. Overall, it’s a reputable writing service that students can trust. 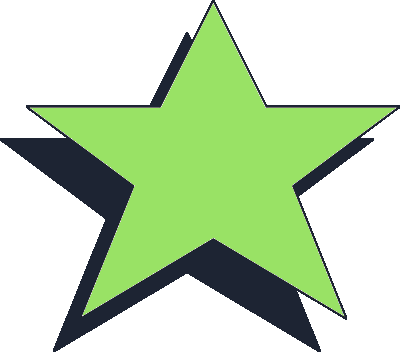 According to the great number of College-Paper.org reviews we got from real users, this service is quite popular among students. It holds solid reputation of delivering high quality and providing great support for the users. Since we don’t base our reviews on reputation only, we decided to place an order and see how it works. Is College-Paper.org legit as a choice of a writing service? Read our review to see what we think. The list of services is versatile, but focused at the same time. College-Paper has students as its target audience. Thus, its entire offer is tailored in a way that would help out a student throughout their education. There are admission and scholarship essay writing services. Then, there are all kinds of papers and assignments in its offer. You can get an essay, article, case study, lab report, programming assignment, PowerPoint presentation, statistics project, and more. Dissertation and thesis services are available, too. You can also get editing help for all types of academic content. Finally, the service provides specialized tips for students at different universities, such as Purdue, Cornell, Harvard, Stanford, and more. There are no paraphrasing or rewriting services. Just clean writing from scratch. The prices at this website seem reasonable. It’s great that you can choose between three quality levels (Standard, Premium, and Platinum), so you’ll get the level you need for a price you can afford. The deadlines range from 10 days to only 3 hours. As for the prices, the standard quotes per page start from $19.99 and go up to $52.99. What about a College-Paper.org discount? You get 25% off the full price if you use a discount for your first order. There are loyalty discounts, too. You can get 5%, 10% or 15% on all future orders. That depends on the number of pages you get at the website. It gets better: there are great free add-ons with each order at College-Paper.com. 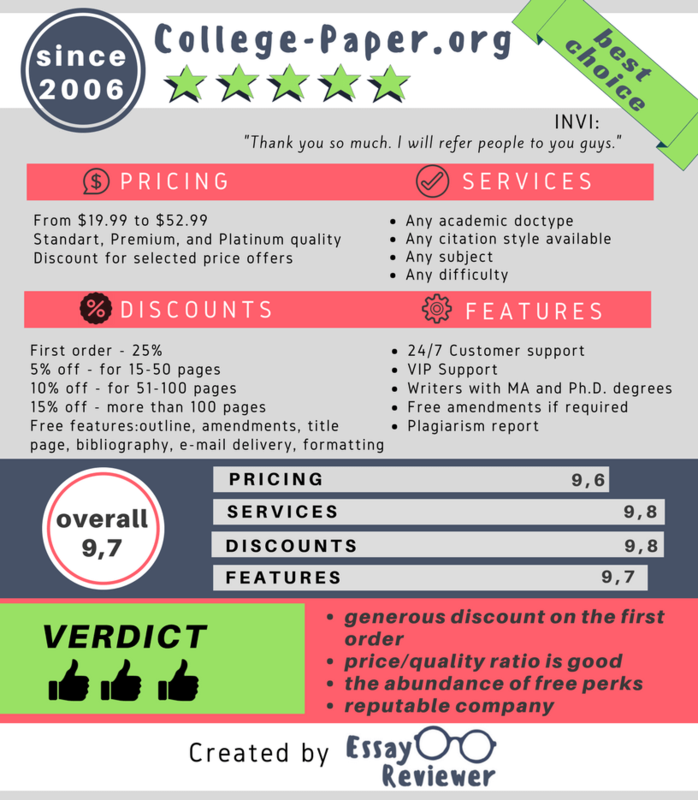 You get a title page, bibliography, outline, formatting, and revisions for free. We decided to go with Premium quality, which places our order as high priority and gives advanced plagiarism check as a free feature. We ordered an essay with a philosophy topic, which was quite challenging. The writer had an MA degree in philosophy and he was well aware of our expectations. He delivered an awesome paper based on the instructions we provided. All sources were properly referenced and the content was absolutely unique. The price/quality ratio at this website is really great. We didn’t need to contact the customer support agents that much. However, we did contact them just to evaluate their approach. They were available all the time and they were truly trying to help us get the user experience we paid for. 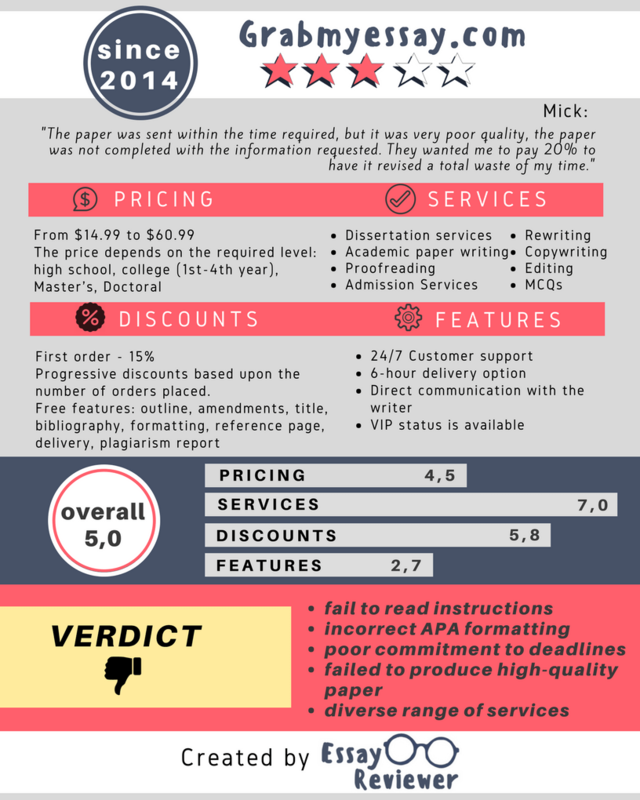 College-Paper is one of the few services that we would use again, and again, and again. We got an absolutely flawless paper and premium treatment as customers. The biggest issue about EssayEdge.com is the poor quality of writing. There were simple mistakes in our paper. They would be evident to someone with basic understanding of the English language. The customer support service is slow and incompetent. Another big issue is the unclear pricing, as well as the lack of free features and discounts. The first impression: I can’t understand what EssayEdge is. Is it just an editing service? Can you get a custom-written paper? Maybe it’s a bidding service? The website gives you tons of content to read, but no clear explanation of what this service is. You can’t even see the prices. After some browsing through the site, we finally found out what this was. It’s basically an editing service. With crazy prices. Read our EssayEdge.com review to find out more about the strange experience we had with this site. This is where all the confusion starts. At the homepage, there are few types of services mentioned: admission essays, personal statements, academic and school paper editing, scholarship essay editing, and letters of recommendation. For all these options, you get different categories: MBA, Graduate, College, Medical, Law, and Academic essays. If you were hoping to see EssayEdge.com cheap prices, give up on that idea. If you want simple proofreading of an academic essay, you’ll have to pay $59.00 for 300 words. 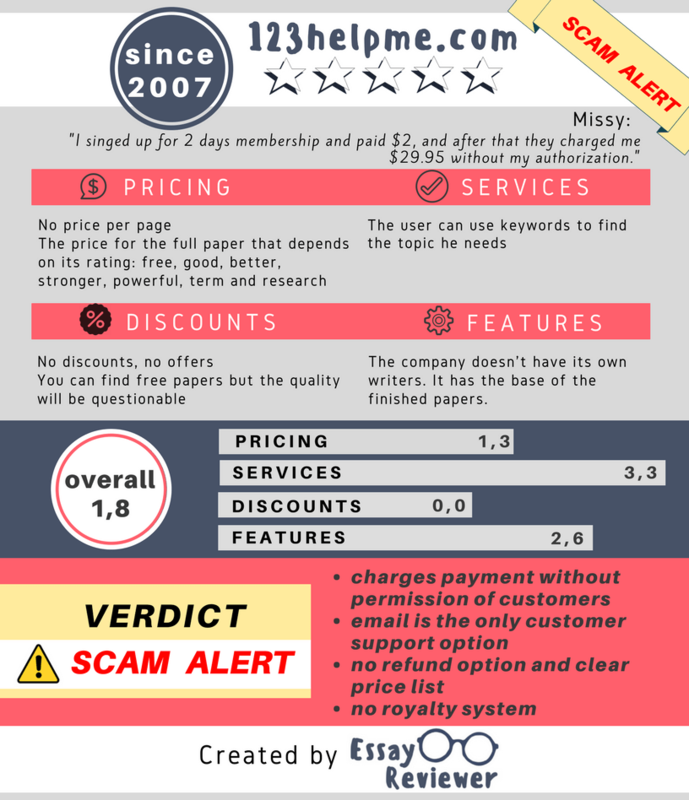 That’s more than top-quality services charge for writing original papers. 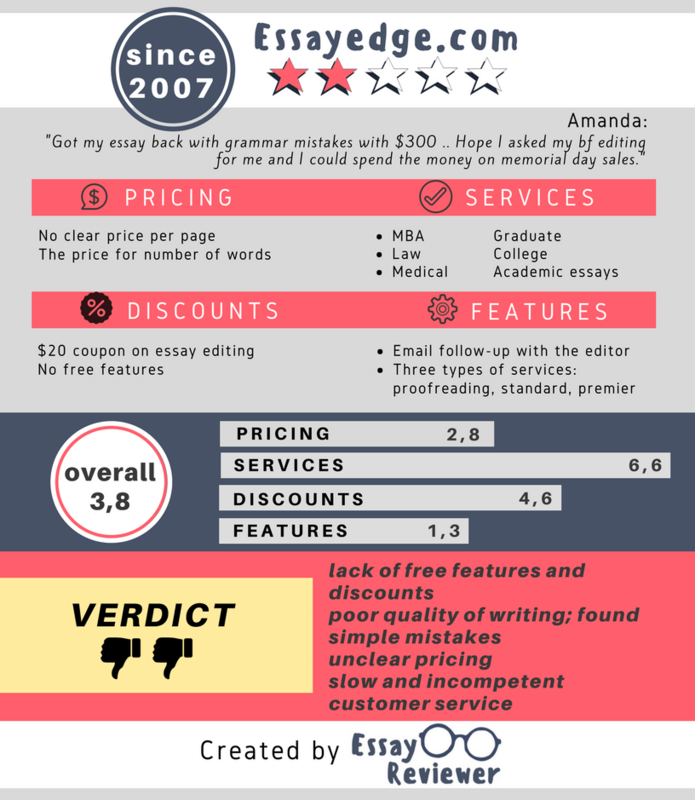 If your essay is 2001-2400 words long, the proofreading service will cost $139. If you pick the Standard package, you’ll get proofreading with recommendations for improvement. This costs $119 for papers that are up to 300 words long, and $239 for papers between 2001 and 2400 words. The Premier service gives you guidance through all stages of writing, from initial topic brainstorm to finished essay. This costs $359 for up to 300 words, and $529 for 2001-2400 words. Crazy! The EssayEdge.com discount code for first-time users is ridiculous. It gives you only $20 off. There’s no discount program for loyal users, and there are no free features. So we took a paper we had ordered from another service, and provided it to EssayEdge.com for editing. 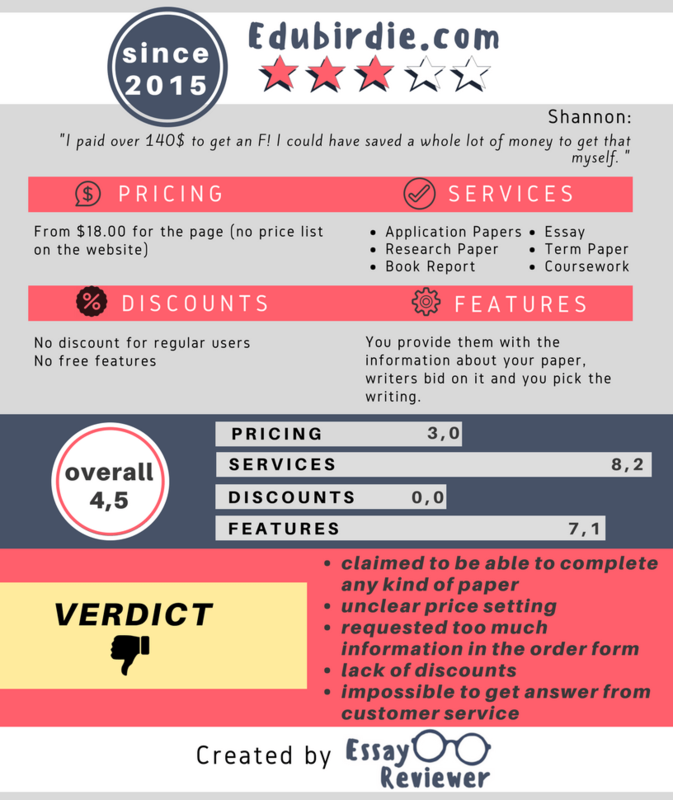 For this price, we expected to see huge improvements in the quality and format of our paper. That didn’t happen. We found simple mistakes, especially with the plural forms. It seemed like the editor was not thorough enough. He just read the paper and corrected the first few flaws he noticed. We tried to express our dissatisfaction to the customer support, but that didn’t work. They said that we asked for proofreading. The agent said: “If you wanted great improvements, you should’ve opted for the Standard service.” That’s just wrong. When you order proofreading from professionals, that’s what you expect: professional proofreading. We didn’t get that in this case. Plus, they were too slow with the responses. We waited for hours to get our messages answered. EssayEdge is not a good editing service. You can’t get custom-writing help at this website. The proofreading service is too expensive and it’s not effective at all. Overall, we wouldn’t recommend this service to students who want great results for an affordable price. GrabMyEssay provides a diverse range of services and seems like an okay service. However, the writer did not follow our instructions and delivered a low-quality paper with messed-up APA references. Plus, the service missed our deadline. The first impression… it was not extremely positive. Let’s face it: GrabMyEssay is a pretty outdated website. It’s hard to navigate through it, and there’s tons of useless content that no one reads. However, there are not many GrabMyEssay.com reviews out there and we got several requests to evaluate this service, so we decided to give it a chance. We’ll share our experience in this review. The list of services is pretty versatile. 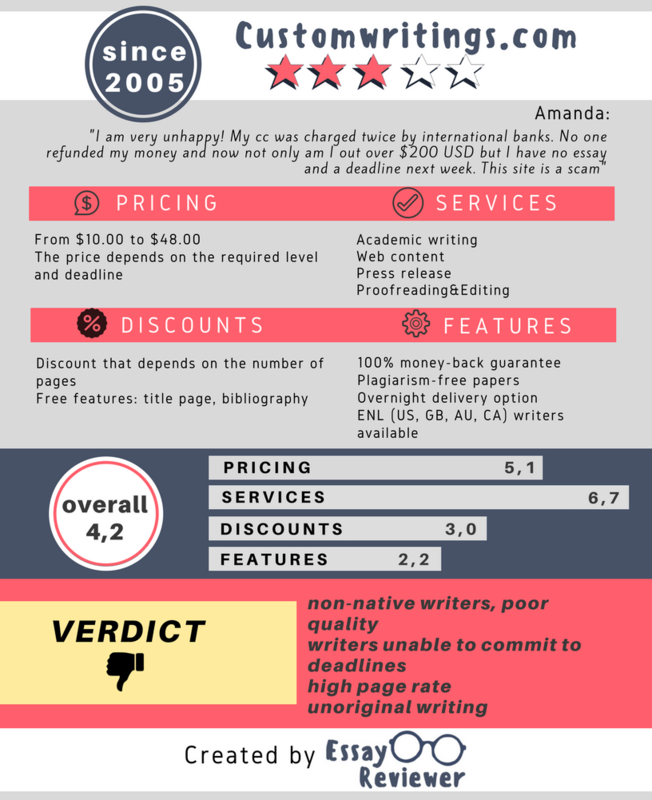 The company offers services of academic paper writing, resume/CV services, dissertation services, math/physics/economics/statistics problems, admission services, editing, and rewriting. 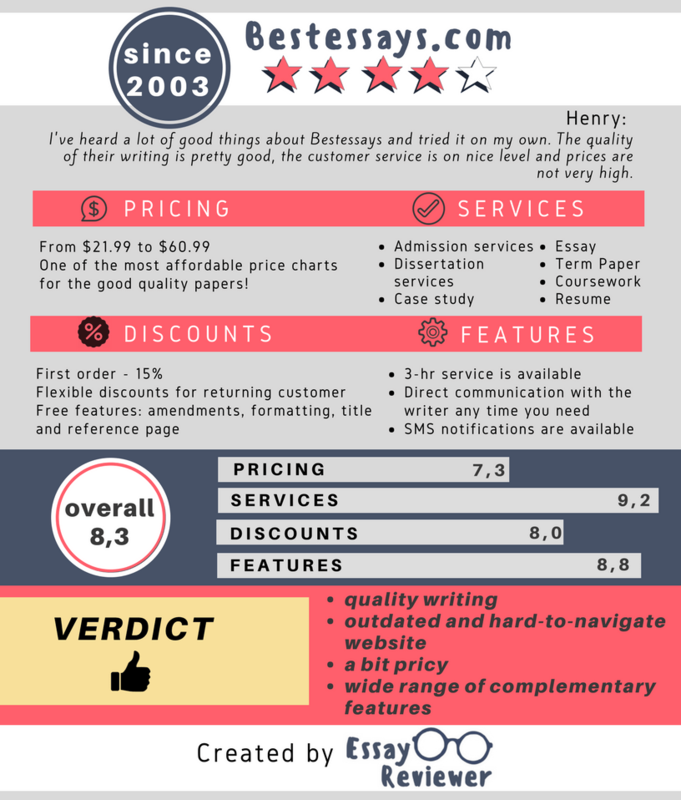 We don’t recommend the rewriting service; it’s way overpriced and it doesn’t give you an original paper. 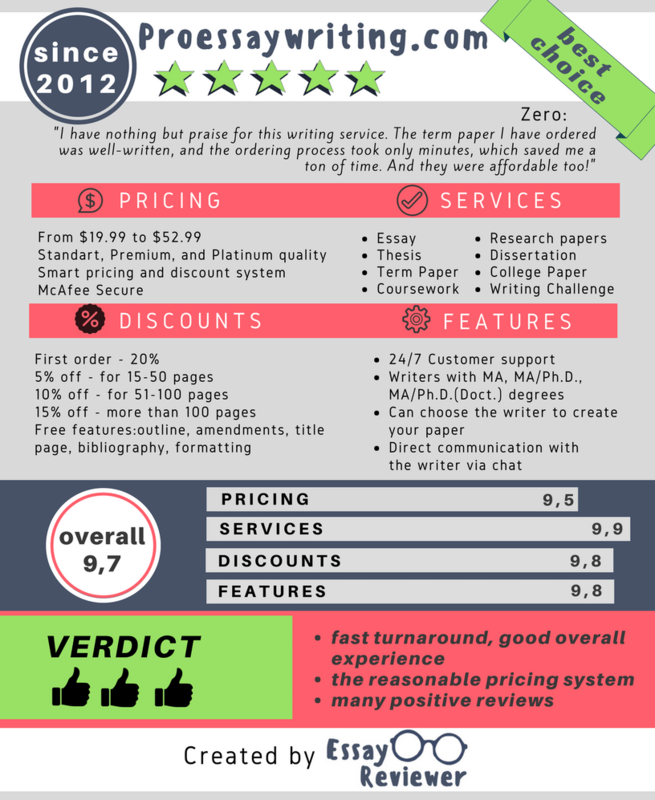 The academic paper writing category encompasses different types of papers, such as essay, term paper, research paper, coursework, book report, research summary, dissertation, lab report, article, and more. The prices for essays seem affordable. The longest deadline is 14 days, and it starts with a quote of $14.99 per page for High-School quality level. The most urgent deadline you can pick is six hours. If you combine it with the highest quality level (Doctoral), you’ll get the highest quote per page – $60.99. That one doesn’t seem so affordable, does it? There’s a GrabMyEssay.com discount of 15% for new customers. Loyal users get 5%, 10%, or 15% off after ordering 15, 50, or 100 pages respectively. The paper was no good. We asked the writer to produce a high-quality paper with APA references. We chose Doctoral level to make sure we’d get a top-notch paper. That didn’t happen. The writer failed to read our detailed instructions. None of our requirements were taken into consideration. To make things worse, we got our paper two days late. The formatting was completely off. There were references, but they were random and inconsistent. This paper required tons of revisions, but it was already too late for them. We contacted the support several times when we realized the writer was missing the deadline. They kept assuring us that the paper was on its way, but it took two days after that deadline for us to finally get it. We tried getting revisions once we saw the paper wasn’t good enough, but we didn’t manage to negotiate that with the customer support. They gave us a small refund to make up for the missed deadline, so we ended up paying the price for the 6-day deadline instead of the 4-day deadline that we initially wanted. Considering the fact that this paper missed the submission deadline, the insignificant refund made no difference. Except for the versatile list of of services, there was nothing we liked about GrabMyEssay.com. The website is hard to use, the writer didn’t follow instructions, the paper was bad, and it was delivered later than expected. It’s a really expensive price to pay for all these pitfalls.